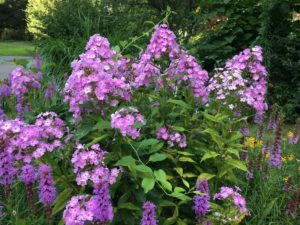 After days of battling the bittersweet weed that had overtaken many of our yard garden beds, I began to notice comparisons with a BRCA diagnosis. Once you notice bittersweet has intertwined itself around your blossoming flowers, its roots have already created an intricate sprawling root system underground, which feels impenetrable. A BRCA diagnosis can feel unexpected even though the question of it may have been looming under the surface, because of a cancer-filled family history. Knowing that it is real creates an overwhelming sense of where to begin. How do I protect myself against the threats? Do I go drastic and nearly kill my chances of cancer or closely monitor myself to manage each change that comes about? The bittersweet slyly wraps its tendrils around every branch of nearby trees and bushes. If allowed to loom long enough, it eventually chokes out the flora. With a BRCA diagnosis, the what-ifs can be overwhelming! What are my chances of getting cancer? Which type might I get? Will I die from it?? The garden center suggested the ever toxic Round-up as one of the only remedies. I remember a bilateral mastectomy feeling like that big gun option. In both cases, I initially decided to keep looking for other, less intense options. I spend full days yanking the vines down from the trees and up from the ground. In the end, all looks back normal, yet I can never be 100% certain that they won’t grow back; bittersweet’s behavior is invasive, just like cancer cells, which is why prophylactic surgeries are never 100% guaranteed to prevent cancer. Still, I could continually monitor my yard and remove growths as I find them. A task that becomes a great responsibility and takes a ton of time. In the end, I opted for a bilateral mastectomy. Who knows, I may try the Roundup, which the store clerk said that I could cut the root of the bittersweet and drop some chemicals in, so that it will penetrate into the root system. Desperation for a solution can cause any one of us to do things that we normally wouldn’t do. Like a BRCA diagnosis, I am trying hard to move from the bitter to the sweet. With this new awareness, I do have choices; we all do. Currently, I can live my life in healthier ways choosing salads and green smoothies more than I would like, and I can do some of the activities that I have dreamed of doing, just in case. Bloom with BRCA, that’s what I’m choosing! (most days) Who really know when or if cancer will grow? When it does, I will face it head on, just like I did with the bittersweet. What are you doing to help move from bitter to sweet through BRCA?